You are reading an original DM Rare Coins Research Article. Find More! Kennedy half dollars are very challenging to collect in Prooflike; examples are few and far between, and not all dates have been found in PL. Prooflike Kennedy halves have fully mirrored fields over both sides, with clear reflectivity at between two and four inches away from the fields. Interestingly, most PL pieces come from the Denver mint. What few people know is that Kennedy halves have also been found in Deep Mirror Prooflike, with stunning reflectivity that can sometimes be measured in feet. NGC uses a DPL designation for Deep Mirror Prooflike coins, and PL for regular Prooflike coins. Just to make sure everyone is on the same page, we are not discussing the 2014 “Enhanced Finish” PL and DPL coins. These are specially prepared, intentionally made, and common. True business strike, DPL coins are extremely rare. And when you find one, you know it! Measurements of reflection are not typically require to identify one of these monsters. DPL Kennedy halves will have incredibly watery mirrors that look alive. Imagine if you took a dropper and carefully filled the surface of a normal coin with water until the fields were awash in it, that is the texture seen on DPL surfaces. 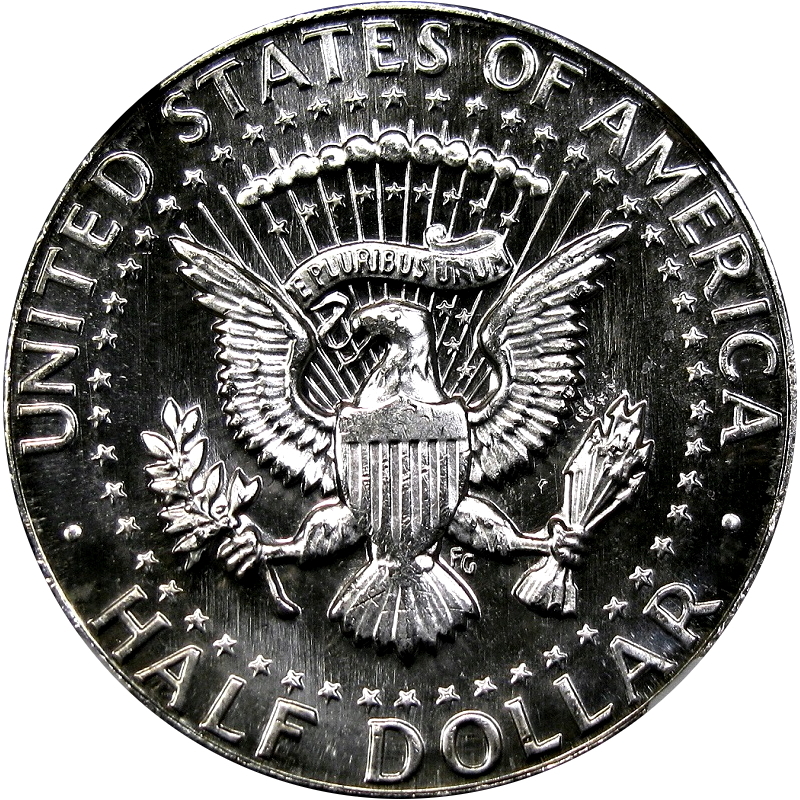 The Kennedy half dollar began in 1964, with just this single year struck in 90% silver. A few of these have turned up in PL. All of these are unusual and rare. Actually, the Prooflike quarters and halves from 1964 closely resemble the Special Mint Set, or SMS, coins of 1965 to 1967, with mirrored fields and sandblasted devices. It is not clear why they exist. Prooflike 1964-D quarters and halves (Left) resemble the SMS coin of 1965-1967 (Right). Occasionally, the 40% silver business strikes of the 1965-1967 era turn up in PL. However, one must use caution because most reflective pieces from this three-year period are from the Special Mint Sets, which were specially prepared, hybrid Proof coins (much like the 2014 creations). Fortunately, it is usually very easy to tell them apart. A modest number of 1968-D and 1969-D halves have turned up with a PL finish; a finish that is again reminiscent of the SMS coins of 1965-1967. However, like the 1964-D coins, thesealso cannot be SMS because that process was discontinued after 1967. These pieces are highly prized, especially when they can be found in MS64 and finer grades. 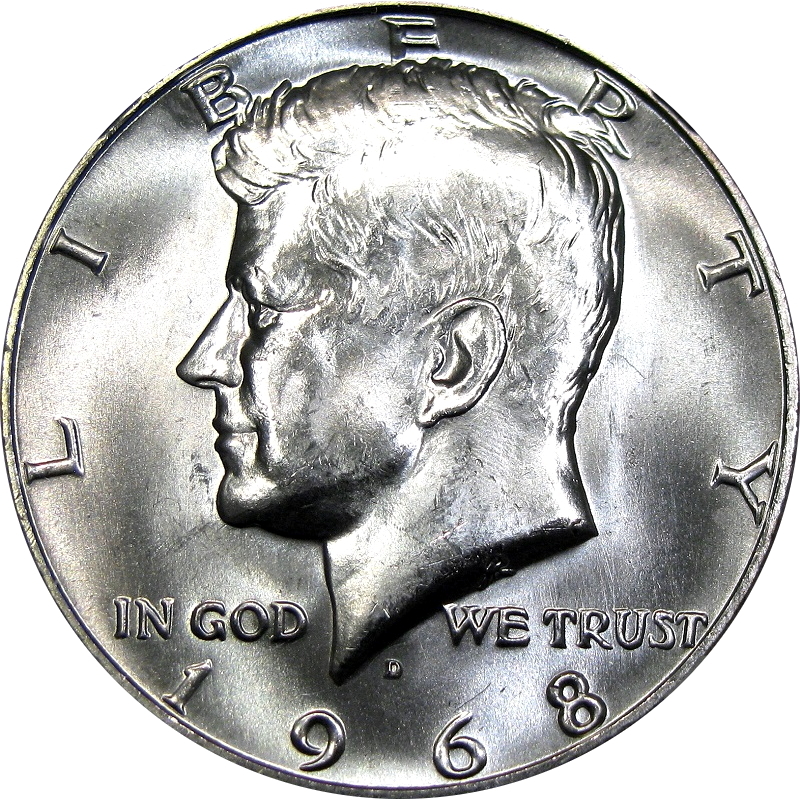 Finally, in 1970, the last year of 40% silver halves, the first DPL Kennedy Halves emerged. Business strikes were only struck in Denver, and they were only released in Mint sets. While most 1970-D halves look like normal 1965-1970, frosty coins, it seems that just one die pair was polished to an outrageous, Deep Mirror Prooflike glow. The devices show a trace of frost, in contrast to the black, liquid silver fields that can be seen on the first coins off the dies. These coins actually resemble Proofs. They may at first be mistaken form Proofs, until one notices the D mint mark. The mirrors on this die pair quickly eroded; first to PL, and then to Semi-PL, and then to satiny, and lastly, to frosty; that only a handful of DPL coins have ever been found. The reverse seems to have worn faster than the obverse. It is possible (though difficult) to assemble a grading set of these in various stages of reflectivity, from DPL to frosty. The extreme rarity of DPL examples suggests that just one die was used to strike the 1970-D DPL Kennedy halves. Yet, there may have been more than one die that was polished to a regular PL level of reflectivity, as many more PL coins exist for 1970-D.
Copper-nickel clad halves emerged in 1971, and it must be cautioned that the hard, nickel surfaces lent a much shinier, glossier texture to the average coin than was typically seen on past, silver strikes. That said, a few legitimate PL coins have emerged from the early 1970s. Dies of 1972-D, in particular, appear in Prooflike and Semi-Prooflike, with more regularity than other dates. Some other 1970s PL halves may have been struck from normal dies, but on leftover Proof planchets (or blanks)from San Francisco. We have seen a 1974-D PL that seems to be of this origin. Coins struck on Proof planchets will appear highly glossy and occasionally, such coins will be fully mirrored and qualify for PL. For instance, this 1971-D Prooflike Ike is likely the result of a Proof planchet. This 1971-D Ike dollar was designated as Prooflike by NGC. It was likely struck with a normal die, on a leftover Proof planchet from San Francisco. There was so much gleaming mirrored luster after striking that it qualified for Prooflike. 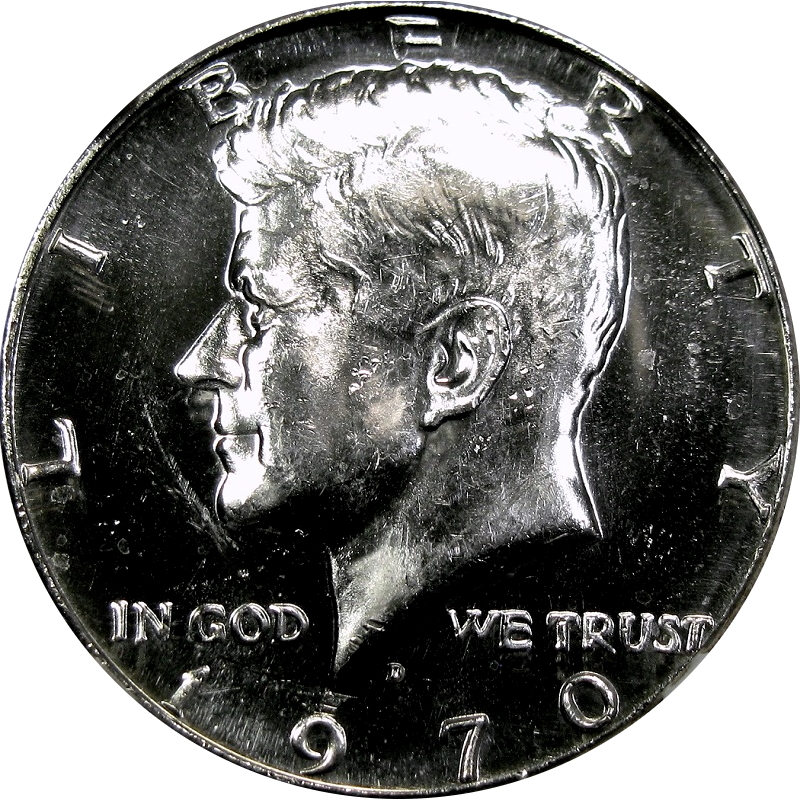 The same effect has been seen on some 1970s Kennedy halves. A long hiatus ran from the late 1970s to early 1980s, when clad coinage is typically found to be frosty, poorly struck, and struck through grease and debris, with very low quality-control standards at the Mint. 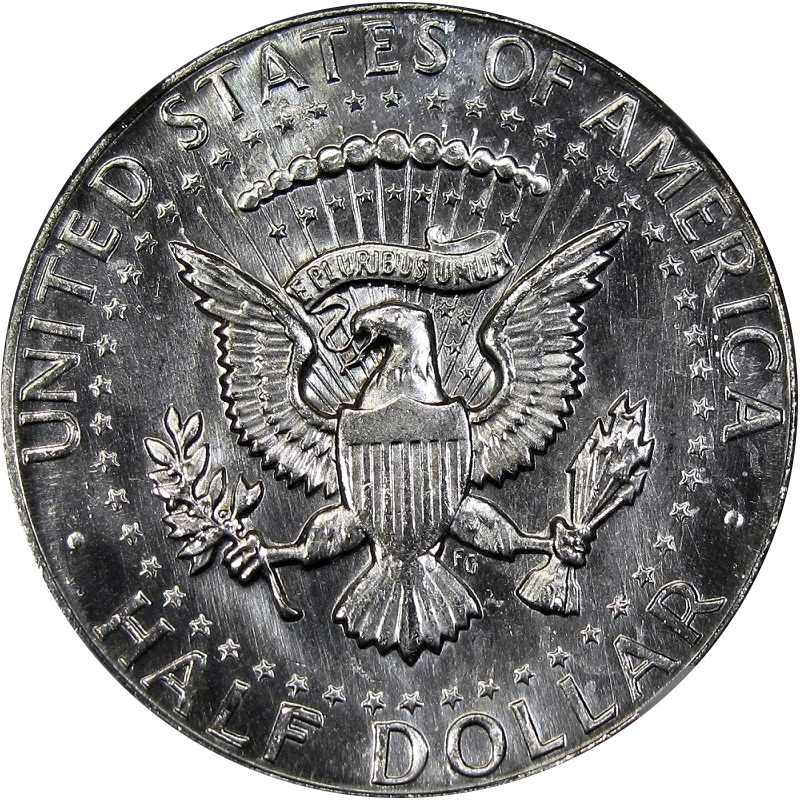 Nevertheless, a handful of 1984-D half dollars have emerged with Prooflike surfaces, from a worn die that was polished up to a chromium shine. Ironically, in 1987, the Mint began Chrome plating dies in a new effort to improve quality, and PL coins began to emerged with more frequency, thereafter. Indeed, a handful of 1989-P halves have been found so reflective that they would put any polished chrome bumper to shame. Three of these have made the DPL designation, to date, with more in PL, or with a PL obverse. Incidentally, one-sided PL coins are highly collectible, too, and are given a Star designation by NGC. 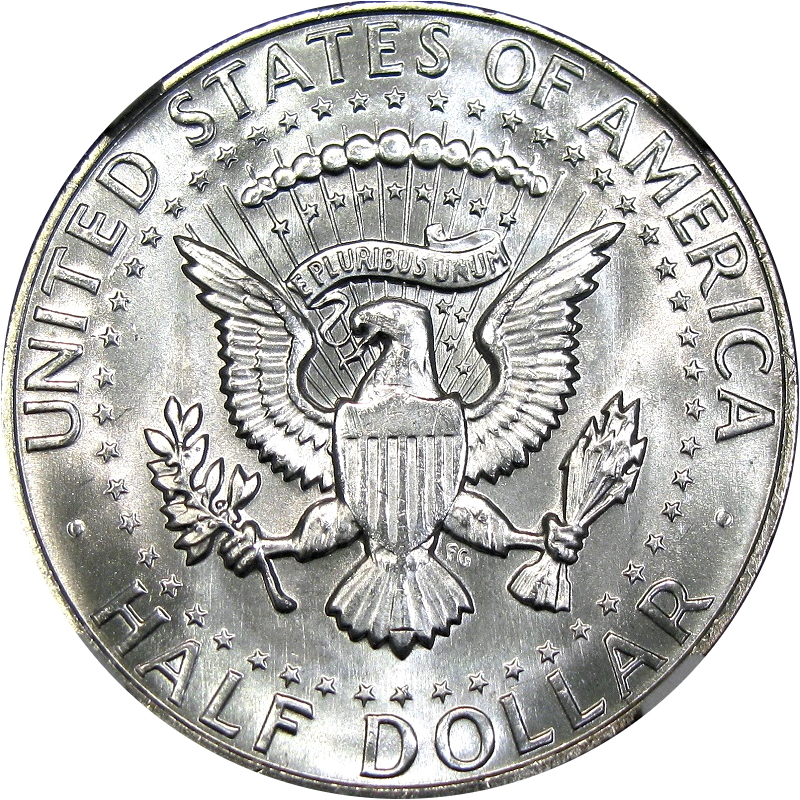 Through the 1990s, PL halves become a little bit more common, with either one piece, or a handful of examples, available for most D-mint dates, and a few P-mint ones. In 1995 and 1996, a noticeable change took place in quality control. 1987 to 1994 coins, while shiny and chrome-like, were plagued by planchet defects and lint marks that show up after striking. 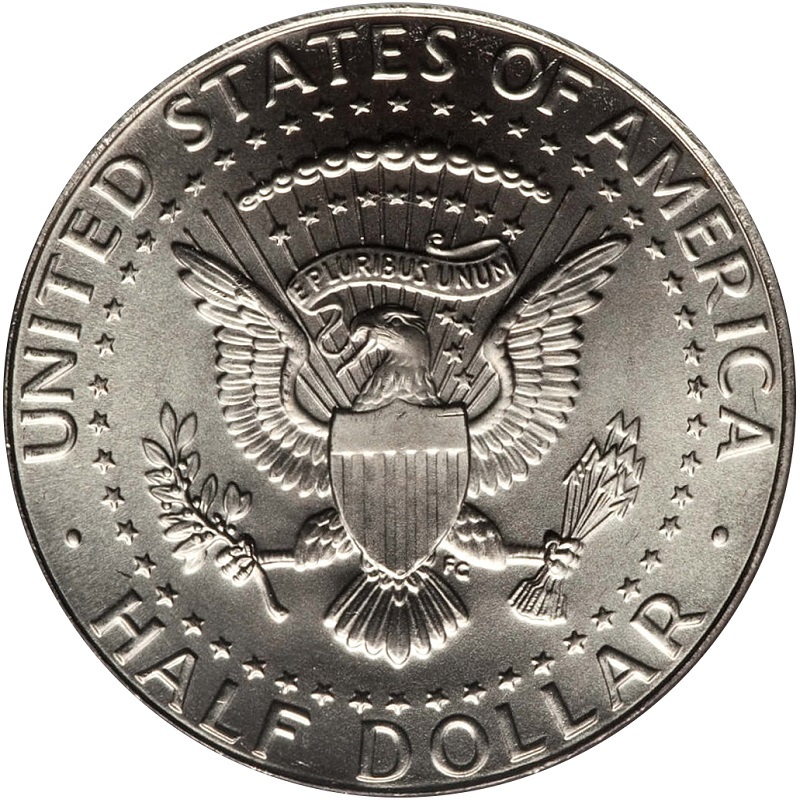 This often prevents PL designations on otherwise reflective coins, because clear, clean fields are important to show that each side is fully mirrored. Something happened around 1995 to lessen this problem; and by 1996, some very clean and appealing, Prooflike halves were struck, as standards continued to improve. Despite increased quality, none of these coins have achieved the specifications for DPL, though we have seen a specimen with a DPL obverse. 1997 was another quality year, in some ways. Many will show smooth, mirrored surfaces, but a large number were struck through brown grease, leaving the surfaces hazy, spotted, and etched. This kills the chances of PL, and certainly DPL, on many 1997 pieces. That brings us to 1998, a year when everything seems to have gone right. The problems with grease were not as prevalent, and a handful of halves (and other denominations) have been found with delightful PL qualities. Just recently, in November, 2018, a DPL 1998-D Kennedy half dollar was discovered and certified by NGC. This is presently a unique coin. 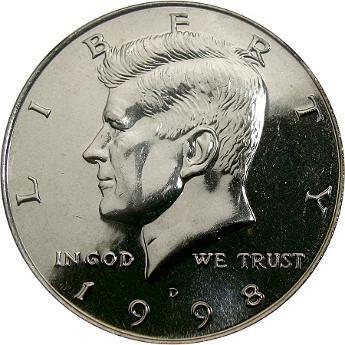 Presently Unique 1998-D DPL Kennedy Half Dollar. The surfaces of a PL clad Kennedy show smooth, watery mirrors. That said, some pieces will actually be called PL when they are not truly mirrored, the mere gleam of a fresh die, struck into hard copper-nickel, can result in enough reflectivity to be awarded the PL designation, though we don’t condone this practice. However, there can be no mistaking the surfaces of a DPL Kennedy, like this 1998-D. DPL coins are nothing like the average PL Kennedy. This piece sticks out like a sore thumb compared to normal PL Kennedy halves, like a beautiful piece of artwork from one of the grand masters that ended up in a thrift shop. A commanding, high relief strike, combined with unbroken waves of dancing, fluttering luster makes this coin look alive. PL coins are hard enough to photograph, but this aforementioned effect is impossible to capture in a still image. On a true DPL coin, you can often observe reflections from feet away. Thus, what you are actually seeing when you look at the dancing luster is a quick reflection of everything around you, as it rolls across deeply mirrored reflecting pools. Motion itself creates the effect, and no still photograph can properly capture the alive appearance of a DPL Kennedy Half Dollar. Having now examined one of all available dates, a 1970-D, a 1989-P, and 1998-D, we are in a unique position to make that determination. This 1998 is now the youngest DPL Kennedy half dollar to appear, despite the fact that the quality streak that began in 1998 ran through about 2001. Starting in 2002, Kennedy halves were no longer released for circulation, but actual business strikes were still being produced for collectors and were sold in bags, rolls, and Mint Sets. The production techniques changed very little, but the high quality seen on 1998-2001 pieces definitely came to an end. PL halves after 2002 are much scarcer than those of the 1990s. One of multiple reasons for this is the horrific Satin Finish that the Mint adopted on Mint Sets from 2005 to 2010. A dull, dirty, thick and yet uneven satin texture enveloped both fields and devises of the affected coins (1). This effectively ended the sourcing of PL coins from Mint Sets. Thankfully, they continued to release the regular business strikes in rolls and bags during this period, and the PL coins we have today where found therein. The Mint ended the Satin Finish after 2010, to virtually universal satisfaction. In 2011, perhaps they wanted to counteract five years of lifeless coins by imparting on them the opposite effect; many collectors were indeed surprises when they opened their Mint sets that year and found that the Mint had introduced a Semi-Prooflike, metallic gleam to all coinage. This has become the standard, since 2011, and in turn, truly PL coins are being created in larger numbers. 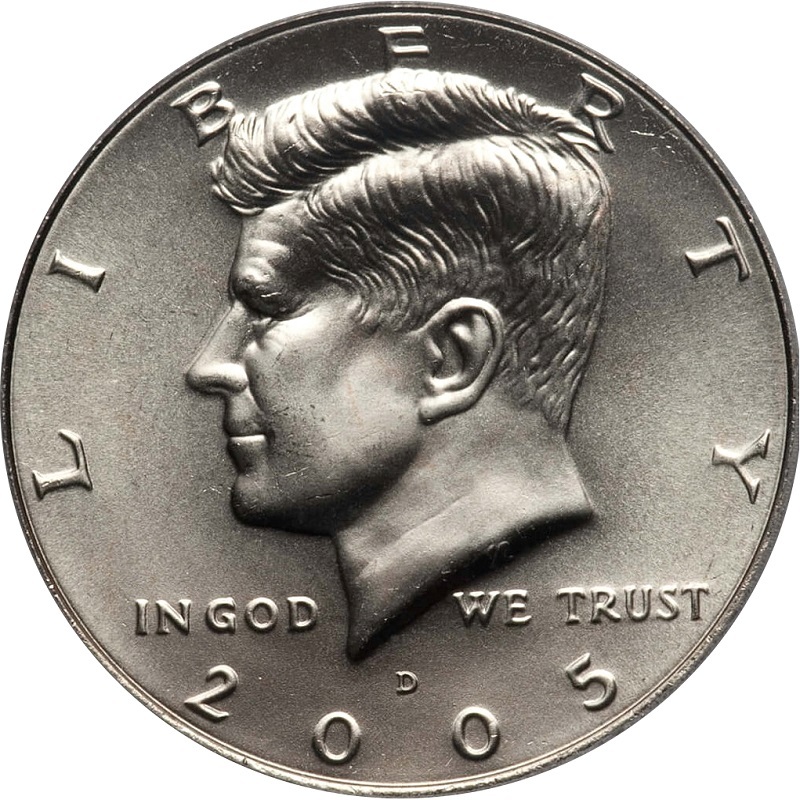 Also, when the 50th anniversary of the Kennedy half dollar resulted in a design change in 2014, the standard finish seems to have became even more reflective. For most dates since 2011, PL halves in the NGC population report can be counted out by the dozen. The mint also experimented with several intentionally PL and CAMEO finishes in 2014. Known as the “Enhanced Finish,” these are intentionally produced hybrid Proof coins and, like the SMS coins of 1965 to 1967, are not relevant to this analysis. Clearly, there are now many variations of the Kennedy half dollar for collectors. And yet, despite all of this activity, not one DPL business strike half dollar has been seen since 1998. DPL Kennedy halves are truly modern rarities. They are so rare that they are essentially un-collectable. There are just five graded for 1970-D, three for 1989-D, and just one for 1998-D (3). (1) While the Satin Finish was not well liked, the manufacturing process used by the Mint lead to the appearance of many high-grade specimens. Some Satin Finish Kennedy halves have made the MS70 grade. 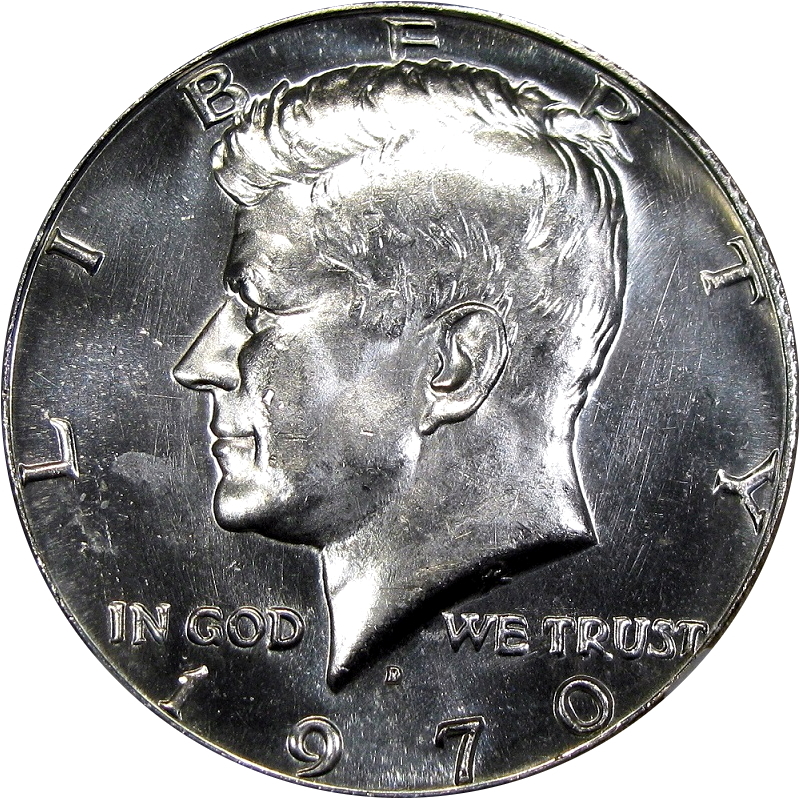 (2) Images of 2005-D Satin Finish Kennedy Half Dollar courtesy of Heritage Auctions, HA.com. (3) Reference has been made to the NGC population report, NGCcoin.com, 2019. 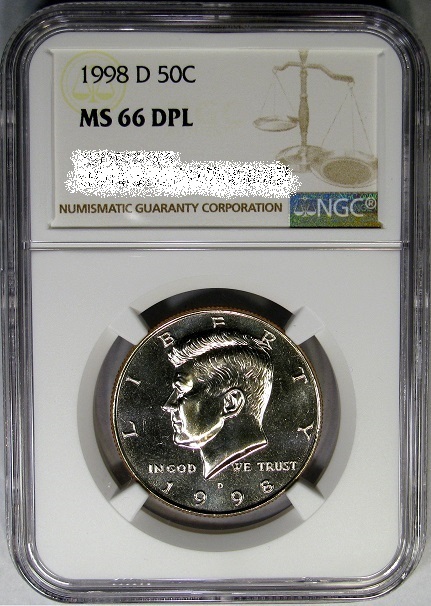 NGC is the only grading service that recognizes the PL and DPL finishes seen on business strike Kennedy halves.